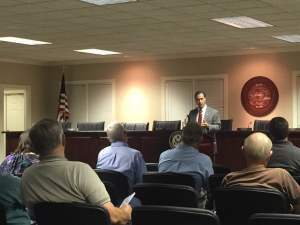 CLAY— Citizens of Clay welcomed Alabama 6th District U.S. Congressman Gary Palmer Monday night when he hosted a Town Hall meeting at City Hall. 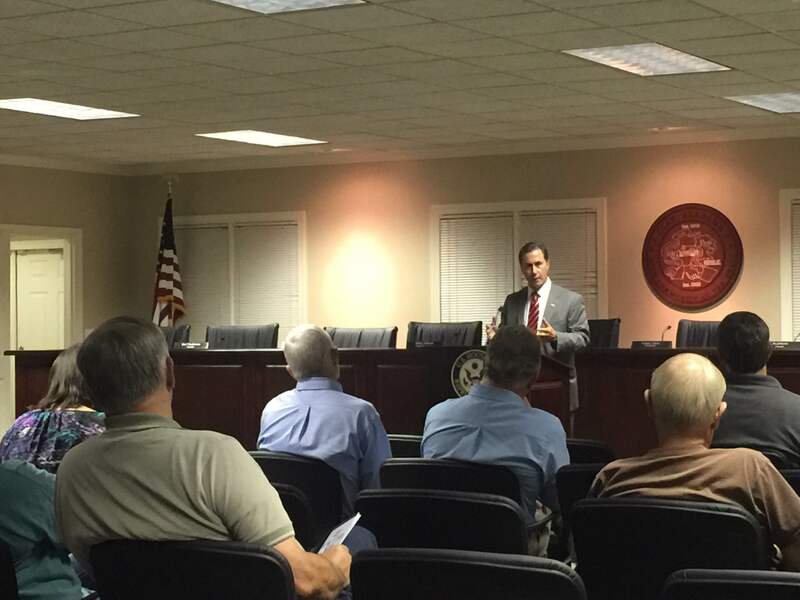 The meeting was an opportunity for Palmer to update the community on the issues being faced by Congress and to give audience members a chance to ask questions and voice concerns. The event was the first of seven which will take place in October throughout the area and which Palmer hopes will maintain the relationship between himself and local communities. Palmer went on to discuss the bills which he has introduced to Congress, which include the Government Reform and Improvement Act, the Agency Accountability Act and a bill that would stop the overreach of the Environmental Protection Agency. The congressman has also co-sponsored 118 bills during the two years he has held his position. During the following Q&A session, audience members brought up a number of issues including concerns about the upcoming presidential elections. Palmer closed by addressing the claims that the Republican Party has accomplished little during the current administration. In addition, Palmer explained that Speaker Paul Ryan initiated the formation of task forces designed to combat issues with the economy, healthcare, tax code and more.